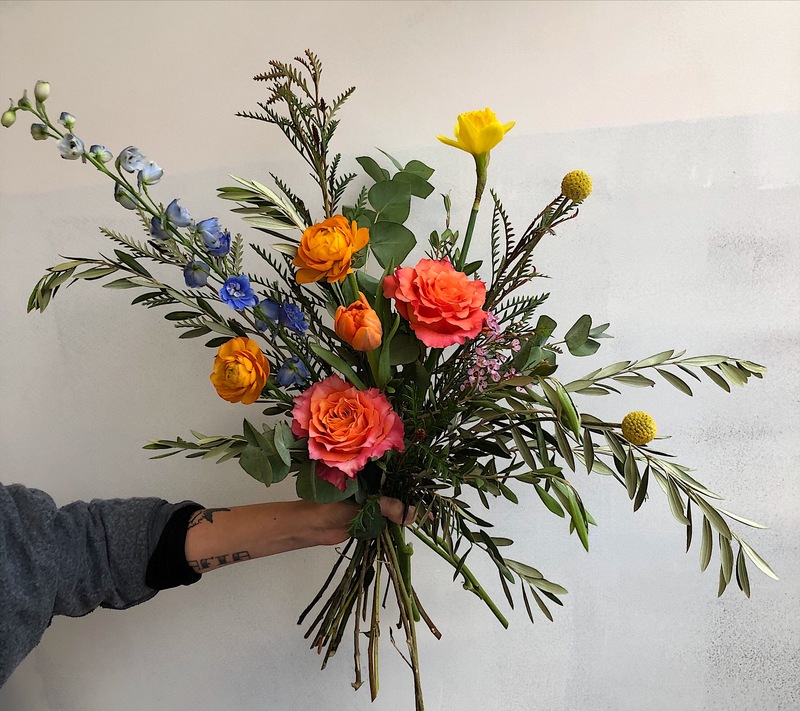 Our hand tied bouquet comes a la carte, without a vase which makes it perfect for a recipient who loves to arrange flowers on their own or who already has a stellar vase. 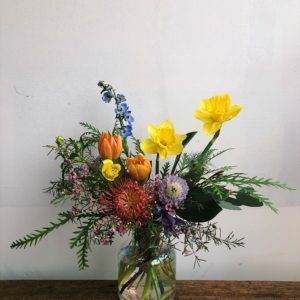 The mixed bouquet features our seasonal picks of the week which range in variety, right now you can expect the following: roses, ranunculus, chrysanthemums, anemones, veronica, celosias, proteas, eucalyptus, herbs and a variety of wildflowers. 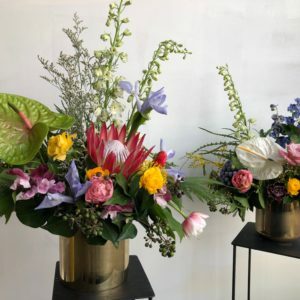 All hand tied bouquets come in an Eco fresh wraps are 100% plant composition, 100% biodegradable, reusable, recyclable plastic bag, hydrates vertically and horizontally to keep your bouquet fresh all day. 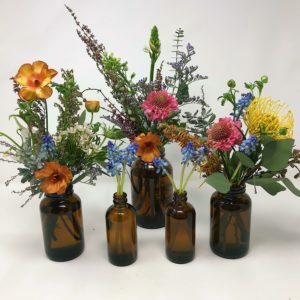 ** Flower availability + stem count greatly depends on market and season. During the warmer months of the year we source locally as often as possible. 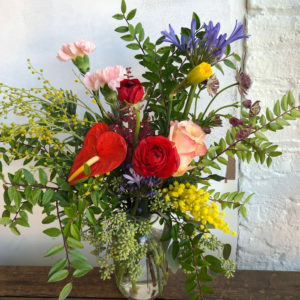 We love taking suggestion on color palate and feel for each arrangement! There is even a place for this in our online order form.